Emma Love is a gorgeous little 9yo girl who has piercing green eyes and a mop of sandy blonde hair. 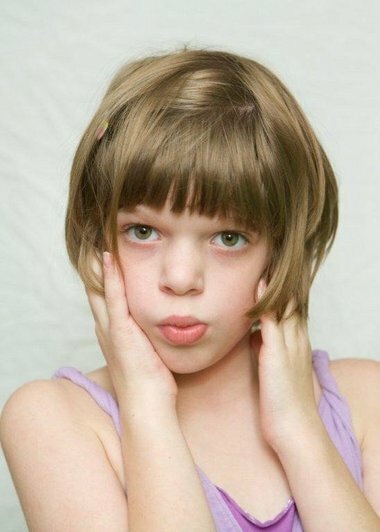 At 15 months, she was diagnosed with classic autism. She has never spoken a word, cannot dress herself and cannot even perform the most basic forms of personal hygiene. Her family has not given up hope. The Love family is looking to raise $25,000 for a stem cell treatment at an American clinic in Ecuador. The family will take a trip to the center on November 15th for the four days of treatment. and in the memo spot of the check write "for Emma Love". Any documentation needed will be provided. I know that most of us are facing some tough financial difficulties. However, any amount will definitely make a big difference! A parent’s love and determination, faith and prayers with the help of the community can conquer any challenges. Sometimes ordinary people find ways to find different solutions and research to help find cure or an alternative whereas a team of medical experts or government regulations have failed. As a mother, I feel that my life does not belong to me. My life is my children’s. There is still an invisible umbilical cord that will forever connect my children to my very being. It’s the same connection that all mothers feel when we see the kids jumping down the stairs that initiate a sensation of being poked with pins and needles; The same reason why mothers don’t truly sleep deeply at night – every silent sound from our children is being amplified directly into my hearts. So if you can, please pass this along and send in the donations to help the Love family. Let's give the Love family an early Thanksgiving blessing and Christmas presents! Share LOVE, you’ll get more of it in return! At this time of the year, we are reminded to be thankful for our good fortune. If everyone of the "GottaLoveMom" followers donated just $1.00 to $5.00 to help the "Love" family help their beautiful daughter, we would be so thankful. If you can make a financial donation, we thank you for your generosity. If you can't donate money, we thank you for your prayers for Emma Love and her family in their quest for a cure, and a chance for a renewed life for their beautiful daughter. Thanks Mom. There are quite a few fund-raisers in town. But it would be great some more donations from the readers of GottaLoveMom. There is no doubt that medical science has achieved a number of mile stones, especially at the time of emergency but at the same time it is also true that its medication has a number of side effects. So at that moment stem cell therapy can be considered as a perfect solution that to without any medication. Thank you.